Check the pic for condition and further details. This was removed from a 2012 1.5 dci diesel Nissan Juke TEKNA 5 door. Model - Juke (Tekna). Colour code - Arctic White (326 G). Year - 2012. Power -106hp / 4,000rpm. NISSAN X-TRAIL MK3 T32 2013- REAR VIEW MIRROR COVER TRIM PLASTIC PANEL VIEW ALL IMAGES FOR ITEM CONDITION - PLEASE ENSURE YOU ARE 100% HAPPY WITH THE ITEM CONDITION PRIOR TO PURCHASE *PLEASE NOTE*: THE COMPATIBILITY TABLE IS FOR REFERENCE ONLY AND NOT A GUARANTEE THE PART WILL FIT YOUR VEHICLE. IF YOU'RE IN DOUBT SPEAK WITH YOUR MECHANIC AND COMPARE THE PART NUMBER (WHERE APPLICABLE) OR CONTACT US BEFORE YOU ORDER TO AVOID UNNECESSARY RETURNS IN THE INSTANCE OF A RETURN - PLEASE BE AWARE ALL OUR ITEMS HAVE THIER OWN SIGNATURE MARKINGS - PLEASE ENSURE ONLY THE ORIGINAL PART IS RETURNED AS WE WILL BE ABLE TO IDENTIFY ANY PART THAT IS NOT OURS. WE ARE CURRENTLY BREAKING FOR SPARE PARTS. REAR VIEW MIRROR. NISSAN NOTE. Nissan Ref Number KE9611K030EB. This is an interior mirror cover shell which sticks over the backing of the interior mirror. We are a main dealer for our franchised vehicles. NISSAN ELGRAND E50 INTERIOR REAR VIEW MIRROR 1997 - 2001 . WE HAVE THOUSANDS OF PARTS ON THE SHELF READY FOR DISPATCH. Nissan Part Number KE9615F3BU. Genuine Nissan Micra 2017> K14 Interior Mirror Cover. This is a genuine used Nissan Navara D40O/S Auto Dimming Interior Rear View Mirror 2005-2010. This rear view mirror was removed from a 2008 Navara D40 Long Way Down Expedition Edition that we are currently breaking. Genuine Nissan Micra 2017> Interior Mirror Cover - Orange. Energy Orange Finish. Genuine Nissan Accessory. Qashqai Acenta Smart Vision DCI (MK2 PRE-FACELIFT J11) (ABS). Electric Rear View Mirror. Electric Front & Rear Windows, Electric Power Folding Door/Wing Mirrors. Exterior Colour Code. The table below contains further information. REAR VIEW MIRROR WITH INTERIOR LIGHT. PICKUP 2004. Personalise the interior of your Juke with this grey rear view mirror cover. An installation manual is provided. Available in a variety of colours: piano black, carbon look, electric blue, grey, orange, red, white, yellow. Nissan Navara D22 2.5L Diesel YD25 / TD25 1997-2005 Manual Interior Windscreen Rear View Mirror AssemblyPart Number: D22 Quantity : 1 Price : £22.99. FITS NISSAN MICRA K14. 2017 ONWARDS. NISSAN MICRA INTERIOR MIRROR COVER. PART NUMBER - KE961 5F3OR. COLLECTION IS ALWAYS AVAILABLE. Based inWest Yorkshire, Dewsbury our motto is to provide 'Service Excellence as Standard'. Nissan Part Number KE9615F3OR. Genuine Nissan Micra K14 Interior Mirror Cover, Energy Orange. 2017 Onwards. 2014 NISSAN NOTE Interior Mirror. This item has been removed from a: 2014 NISSAN NOTE. Make: NISSAN. Part Type: Interior Mirror. Model: NOTE. Add details. All of our Green parts are supplied with a 12 month warranty (Except Engines, Gearboxes, Transfer Boxes, Differentials, Tyres & Axles) unless otherwise stated. Removed from a 2004 K12 Nissan Micra. Nissan R35 Gtr skyline interior Rear View Mirror Removed from a Nissan GT-R this rear view mirror is in good used condition. Removed from a Nissan GT-R this rear view mirror is in good uséd condition. We are also breaking many other cars you can view them on our website. Ref: B24019. 2005 - 2010 Nissan Pathfinder R51 Rear View Interior Mirror With Auto Dimming and Compass. We willALWAYS resolve your issue but would ask that you call us in order to do so. We are a bonefide 'End Of Life' Vehicle Dismantlers situated in East Devon. For Sale is an Auto Dimming Rear View Mirror. Removed from a 2015 NISSAN GTR 3799cc Petrol 2 Door Coupe. Please see item description for more information, you will receive everything you see in the images. Parts Number KE9615F3OR. Fits Nissan Micra 2017>. Colour - Energy Orange. Interior Mirror Cover. DIPPING MIRROR FUNCTIONS. UNIVERSAL REPLACEABLE REAR VIEW MIRROR. 210 X 50MM. MIRROR SIGNIFICANTLY INCREASES THE DRIVER VISIBILITY O SEE AREAS THAT ARE OTHERWISE NOT VISIBLE. 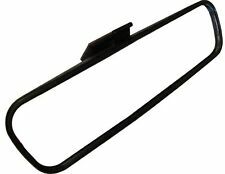 Nissan interior rear view mirror number IKI 8020, pos micra K10. FROM MURANO MK1 Z50 3.5 PETROL. We are gladly at your service for any further queries. Goods will only be dispatched upon cleared funds. Key Features. (Except Malta, Cyprus, Canary Islands). Let Us Help you Keep Your Car Going For Longer!